Dear Prime Minister The RT. Hon. David Cameron, MP. I wish to ask you a Question:- "Is This True?” I refer to the Pension Reality Check. BRITISH OLD AGED PENSIONER Weekly Spouse Allowance: £25.00? BRITISH OLD AGED PENSIONER Additional Weekly Hardship Allowance: £0.00? ILLEGAL IMMIGRANTS/REFUGEES Additional Weekly Hardship Allowance: £100.00 . BRITISH OLD AGED PENSIONER TOTAL YEARLY BENEFIT £6,000? Please read all and then forward to all your contacts so that we can lobby for a decent state pension. After all, the average pensioner has paid taxes and contributed to the growth of this country for the last 40 to 60 years. Sad isn't it? Surely it's about time we put our own people first. Why are the classes of pensioner and refugee comparable? Surely there are many more classes of Government expenditure which could be cut to more effect if the basic proposition was desirable: I doubt that redistributing all payments to refugees would make much impact on the level of State pension, even if possible under our treaty obligations. If voters believe that the State pension should be raised, fair enough, the matter lies at the ballot box. However, that is no reason to demonise in the same breath another section of humanity. As he subsequently pointed out, our family has married outside Britain so much, we ought to take reference to immigrants to heart. Though none of us are illegal nor asylum seekers, we could so easily be called refugees. Furthermore he attached “a recent filing at the House of Commons Library that explains the context and some detail about the email and the facts claimed. May I suggest you read and distribute this in the other direction." Top point: how can someone who is an illegal immigrant claim benefit at all? If being illegal means that someone entered the country without going through immigration, then the relevant authorities do not know they exist and so they are unable to go to those same authorities and be treated as ‘legal’. Therefore the whole email is a nonsense before we begin—or the term ‘illegal immigrant’ has been used incorrectly to describe a different set of people. The document¹ referred to is difficult reading after the email. I confess I was expecting direct refutation—“this number is wrong, it should be this figure”. But the situation is not explained like that at all, and I think I have been reading a paper whose intended audience has a basic understanding that I don’t share. Well, didn’t before writing this. The paper tells us quite a lot about the history of the email, showing various versions and tracking its travel across the globe. The diffusion of an email is quite interesting. Section 2.2 of the paper sends us to www.hoax-slayer.com in Oz, which goes some way to debunking their version. It quotes various responses from government circles, but it doesn’t give any numbers—presumably because there is such a range of possible answers, there is no single quotable figure to use. We are told: “The figures quoted, which have been circulating in a hoax email, bear no resemblance to income-support payments to pensioners, or to payments to asylum seekers and refugees settling in Australia.” and I found similar words used several times. What I didn’t find were unequivocal statements telling me what does happen. I did find confusion with refugees and asylum seekers (they are not the same thing⁴), but what is an ‘eligible’ refugee? I found that the more I read, the longer my list of questions became and I only really discovered that I don’t know anything about the topic. That in turn tells me that yet again the press has done a bad job of communicating a problem; the original email draws attention to two topics, that many folk feel their pensions are too low and that there is a perception of something wrong with the way governments treat refugees or immigrants. Two quite separate issues, then. Clear: people who manage to enter the country—without declaring that entry—will be deported. I’m unsure what the second set (stayed longer than allowed) is, but I think that is a reference to the process for seeking asylum, which must take some appreciable time. There is a third class of person confused with these terms, a refugee, who is someone who asked for and was granted asylum. Actually, not clear. I have always thought of illegal immigrants as being those people who deliberately entered the country by bypassing any entry checks. But the number of people who have had permission to be in the country but then lose that permission, by in some way failing to make a successful application to stay, is (I reckon) a very much bigger figure; what’s more, they are indeed illegally here, but they are no longer immigrant, but migrant. These people are very probably no sort of refugee nor any sort of asylum seeker, but migrants, probably for reasons of economics or attachment (e.g. romantic, academic, nationalistic preference, simply wanting to stay). My spouse, for example. 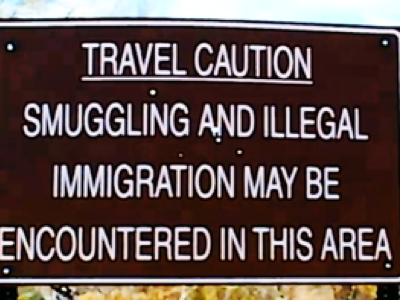 I suggest that illegal migrant would be a better term - illegally here right now, although that entry itself was not illegal, but the current status. That is not the same as the position one can reach where this nation is saying that one’s status in the country is at the moment in question—I can attest readily that some of the letters we had from the Hone Office during 2017 could be read as telling us to get out of the country, and that it took several readings to be sure that this was not, not quite, the message. • claim social security benefits and tax credits on the same basis as UK nationals, but may find it difficult to gain entitlement to contributory benefits since these depend upon the person having a sufficient contribution record. Okay, I follow that, but I don’t know how many benefits require a contribution record. All I discover is that I don’t know enough to understand the comparison. • are not entitled to mainstream non-contributory social security benefits including income-based Jobseeker’s Allowance, Income Support and Housing Benefit. Instead, they may be eligible for accommodation and/or financial support from the UK Border Agency. Note they may be eligible, and that whatever support they may receive is quite separate from pensions. Indeed, they are treated very much separately and that is what should be reported with clarity. As to numbers: the fraction of people collecting pension (or eligible to) is around 16% of the UK² (9.2 million people are over 65) and they receive around £100 per week per person. The number of refugees in Britain is around 0.25 million. See here³ for figures, but I note that 85% of asylum seekers were rejected in 2003-5; and I think I read that the new intake is around 7500 per year, but there’s a lot of multiple counting as people disagree with decisions and return to the waiting state. It may be the 200,000 people waiting for decisions are the same folk accused of being illegal immigrants, which they aren’t. Well, they might be, but they are not so automatically while they wait for decision on their status. A genuine illegal immigrant could go declare itself as present and thus perhaps become an asylum seeker and probably receive help. As ever, the more you ask, the more blurred the picture becomes. Looking for census results, I see that the number of people over 90 is about twice the number of asylum seekers. Does that put the issue in context? illegal immigrants don’t get benefits. They can’t, they’re ‘not there’. That group who lost permission to stay somehow are definitely there but not permitted to claim benefits. asylum seekers can receive benefits, from the Border Agency, while they wait for a decision on their status. refugees⁴ have been given asylum; they have rights much as we natives do and are encouraged to find work. They are handicapped by not having a contributions history (but doesn’t a school leaver have the same problem?). I don’t think we have issues with these people—they’ve been declared as having justified reasons for being allowed to join the country and I would guess that they mostly turn into valuable members of the society that welcomed them. I suspect we have two meanings of ‘refugee’; one as used by the press when describing some disaster, such as a drought in Africa, where people pictured fleeing a site are refugees, in a state we might call transition; second the term used for people who have arrived somewhere and been accepted into the country on some (fairly well-defined and generous) basis—this second state is fundamentally settled. So we have two states: one with movement continuing and one with movement largely stopped. I suspect that much of the ill-will visited upon the latter group is a misconception carried from the first state; unfair, unwarranted and short of understanding—of both states. If you have corrections or extensions to this, I will happily include your contribution. In writing this I am less ill-informed but still far from well-informed. I returned to this topic more than once as the issue in no way shrank. Here are onward links to essays 171, 173, 174, 175. 4 Asylum seeker—someone waiting for a decision on an application for asylum.